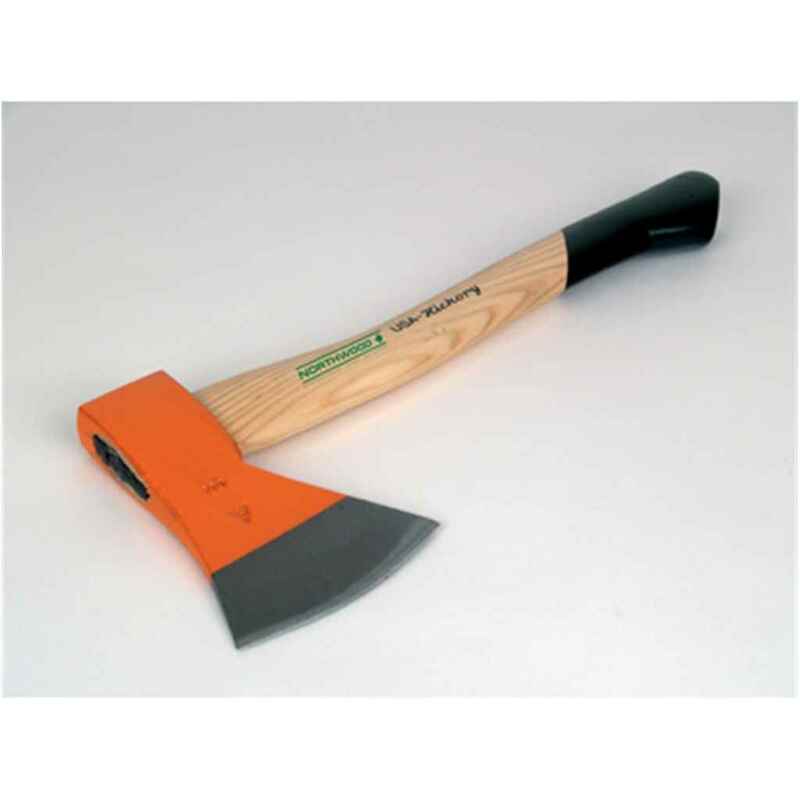 The Northwood Premium Hickory Hatchet Axe is made from top quality USA Hickory Wood. It has a drop-forged head with a precision ground edge for maximum durability and a efficient splitting head contour for exceptional productivity. It also features a high visibility orange handle end and head.